CPROU Cloud Backup - Computer PRO Unltd. As you are aware, your data is the most important part of your computer. Protecting your photo’s, documents, and spreadsheets should always be a priority. That is why you can trust in CPROU Cloud Backup. Built to protect all users including small businesses, large business, and home users. Giving you full insight into how your data is backed up and making sure your backup is up and running. Our PRO’S will guide you through the whole process. Making sure you are using the right settings for your needs. With our backup program, we will even notify you of issues when they are detected. Giving you peace of mind and making sure your data is available in case of a disaster. Setting up your backup can be a headache. Trying to figure out what is the best way to backup file vs image based backup. Even trying to decide if you should be using differential or incremental backups can get frustrating. That is why we are here to assist. Contact Us Today to try our risk-free backup solution. No Credit Card is needed to start a trial. With more business becoming reliant on technology your data is becoming more and more important. 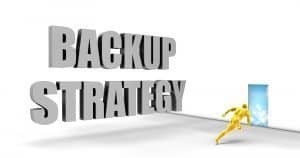 As your business becomes more technology driven your backup needs will become more complex. 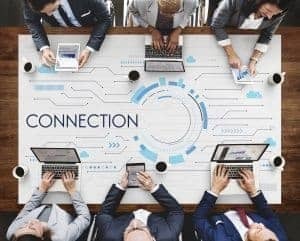 Having to backup everything from SQL, Microsoft Exchange, Web Sites, and CRM data your backup system may need to grow. With our backup program, your business can even have a BDR appliance locally on your network to decrease any down time. In the case of an environmental disaster, you will also have access to start your critical applications/servers in the cloud. The old days of copying your data to a flash drive are not enough to ensure your business can recover from a disaster. Contact Us Today To Start A Free Trial and let us help you develop your backup and recovery plan. Computer PRO’S service provides seamless and secure backup of your data to the cloud and takes care of the management and monitoring for you. Computer PRO’S Cloud Backup protects data at each stage of every cloud backup transaction. AES 256-bit source side encryption – Protects your local data from unauthorized access (up to 256-bit strong keys) before it is transmitted to the cloud. SSL encryption on transit – Data sent to the cloud is automatically encrypted using SSL protocols which eliminate the possibility of anyone gaining access to it. Server side encryption – Data can also be encrypted while in the data center if you choose. File Level Backup and Recovery – Choose individual files and folders to backup. System State Backup and Bare Metal Recovery – Restore original configuration or rebuild the entire system from the ground up under Windows Server. SQL Server and MS Exchange Backup – Backup databases in MS SQL Server as well as the MS Exchange mailstore. 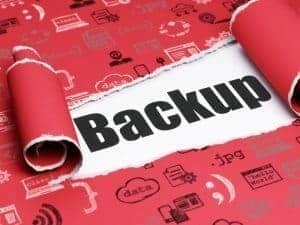 Virtual Machine Backup and Recovery– As Virtual Machines become more prevalent in the modern business the need to make sure your business can survive a server failure is becoming more and more a requirement. You aren’t charged for what you don’t need. Computer PRO’S Cloud Backup can be scaled to meet your demands. With Computer PRO’S Cloud Backup you aren’t locked into one backup destination. Backups can be kept in the cloud as well as on an external hard drive or any local network location. You cab access, share and restore your files from anywhere with internet capability.